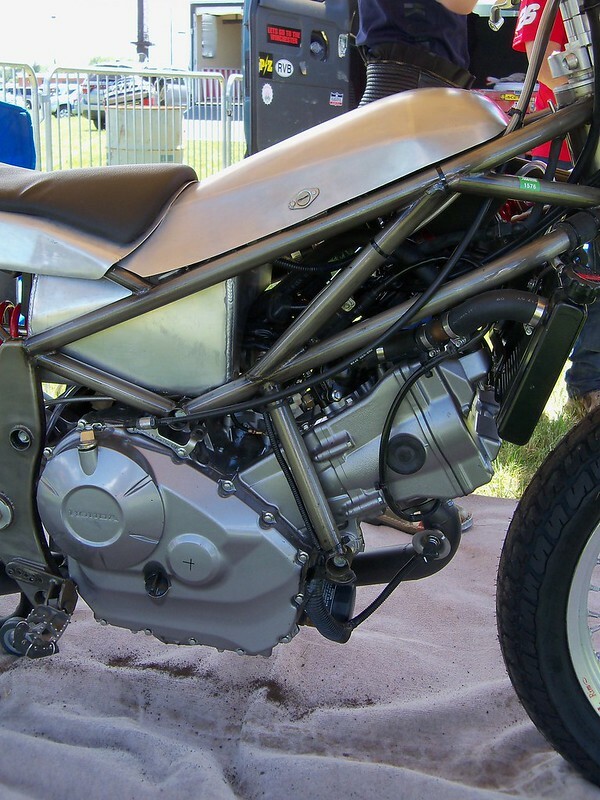 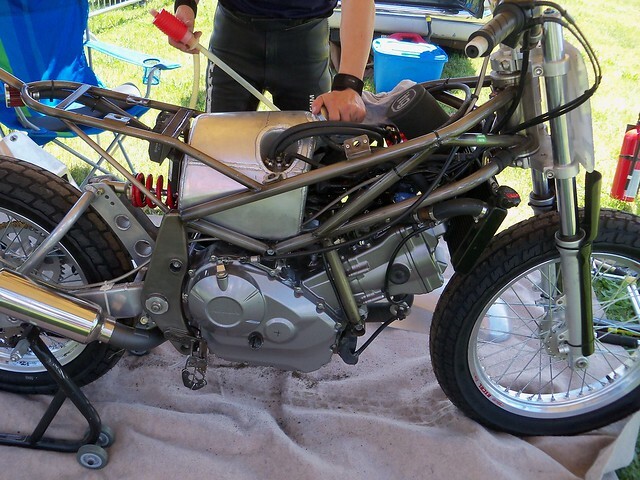 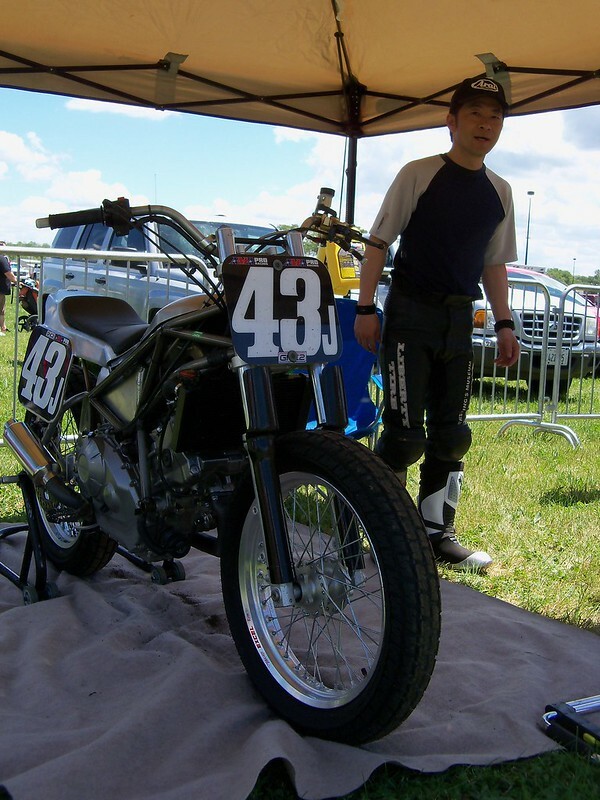 One of the neatest bikes I've seen anywhere, this is the 43J Koji Furuhashi Honda NC700X. 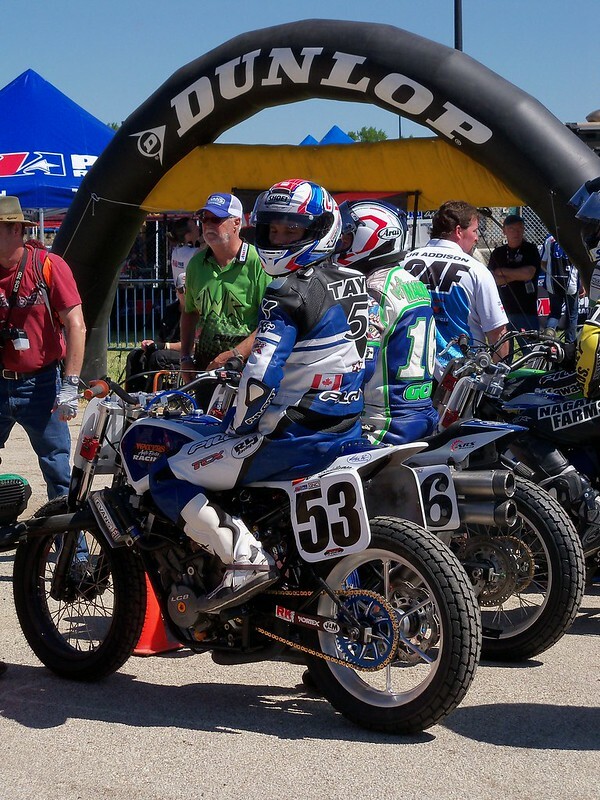 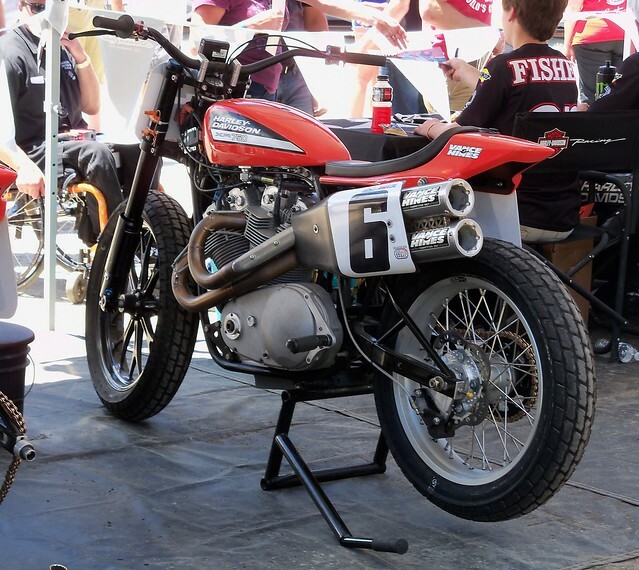 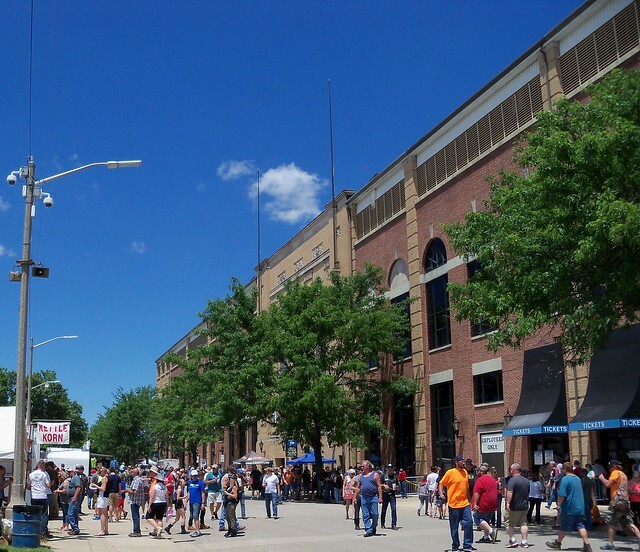 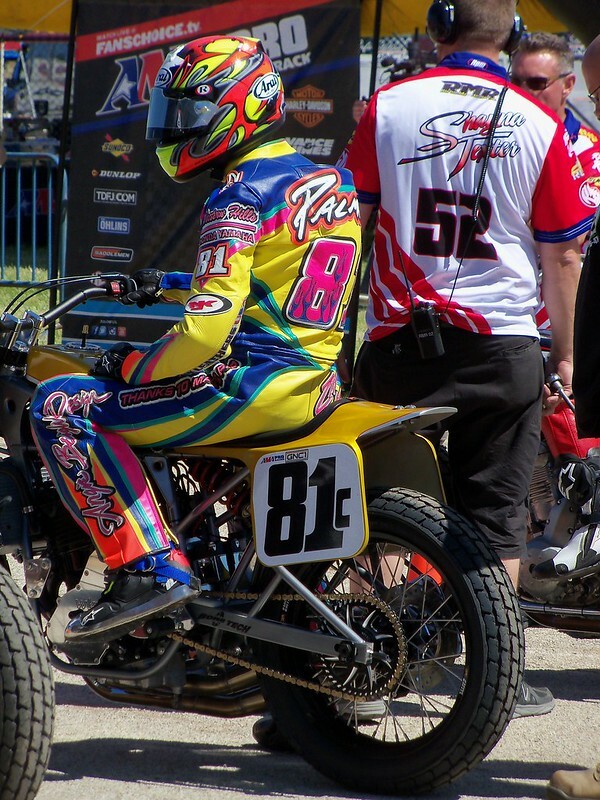 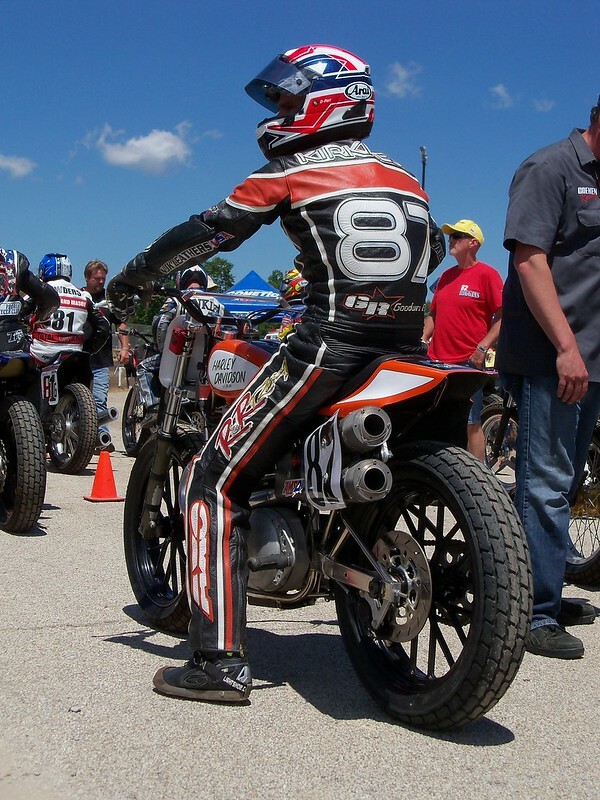 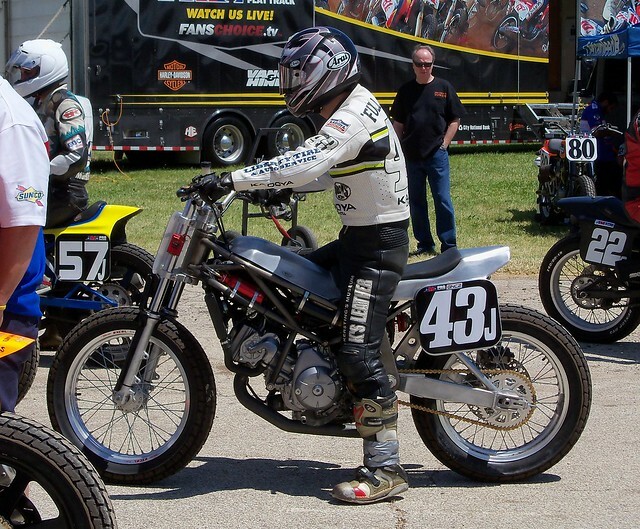 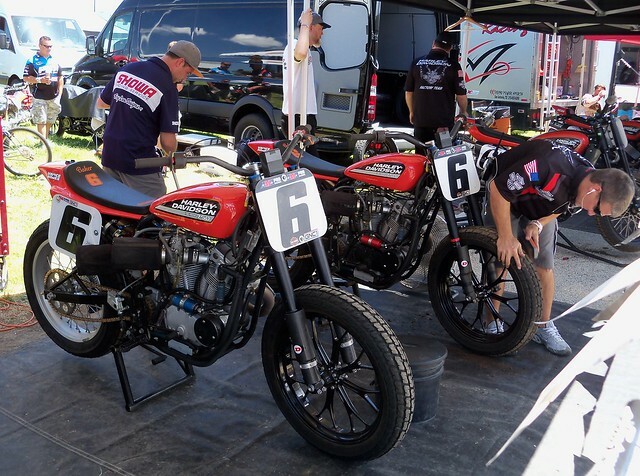 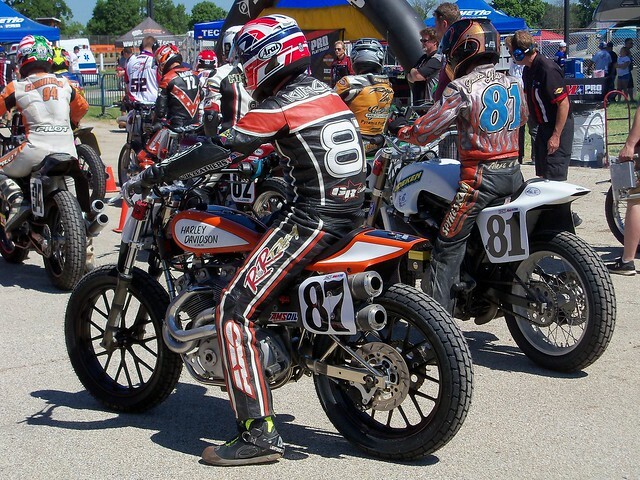 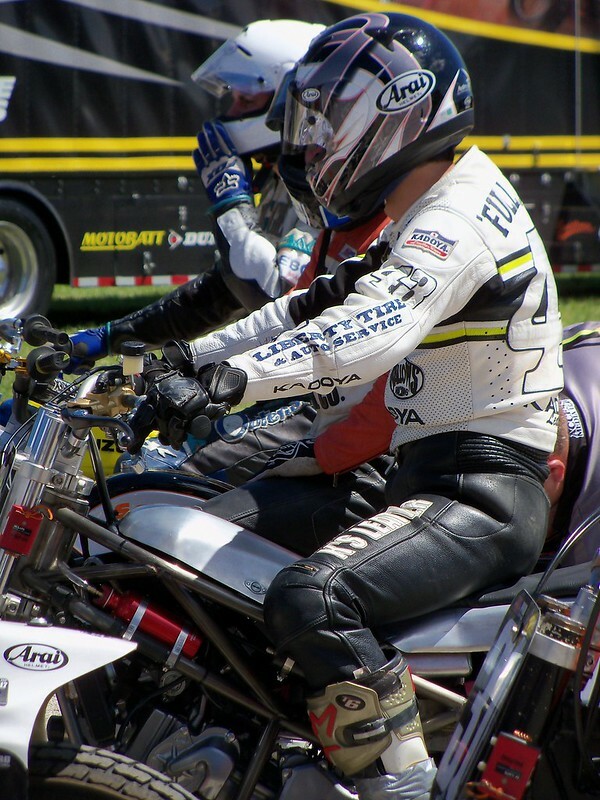 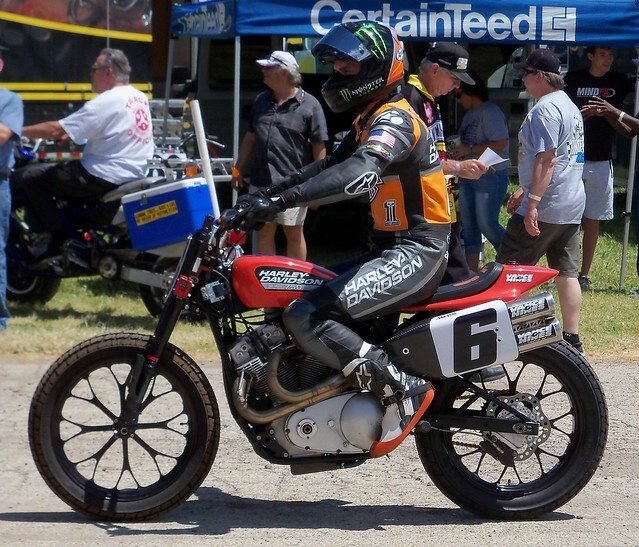 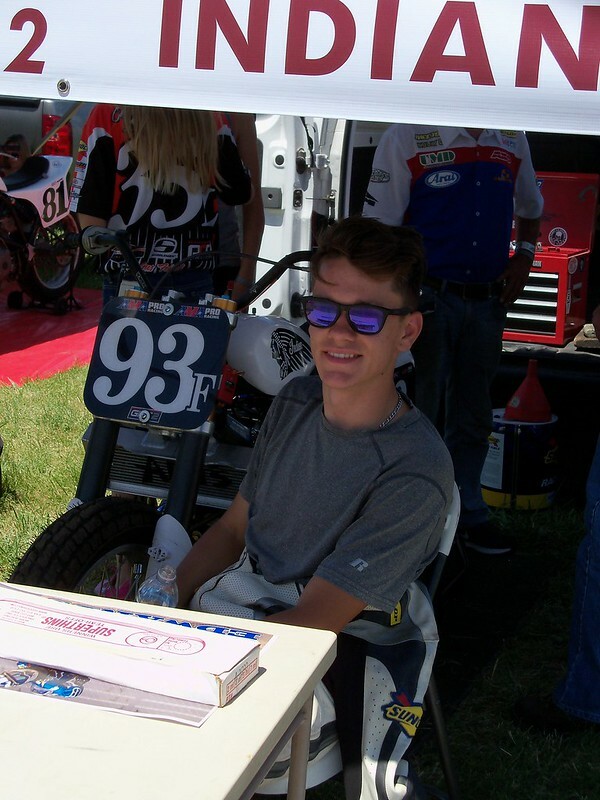 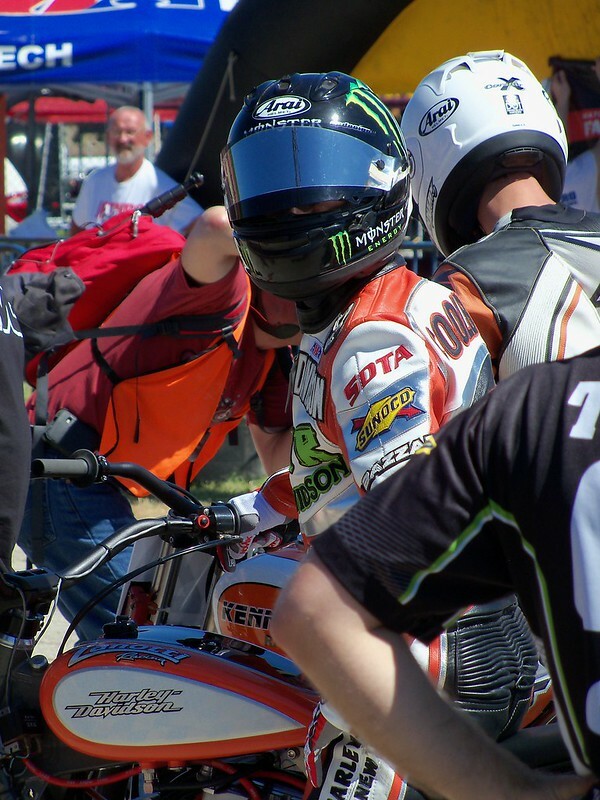 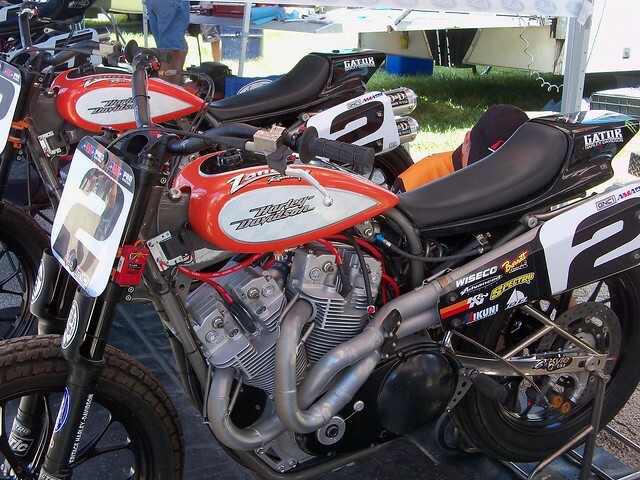 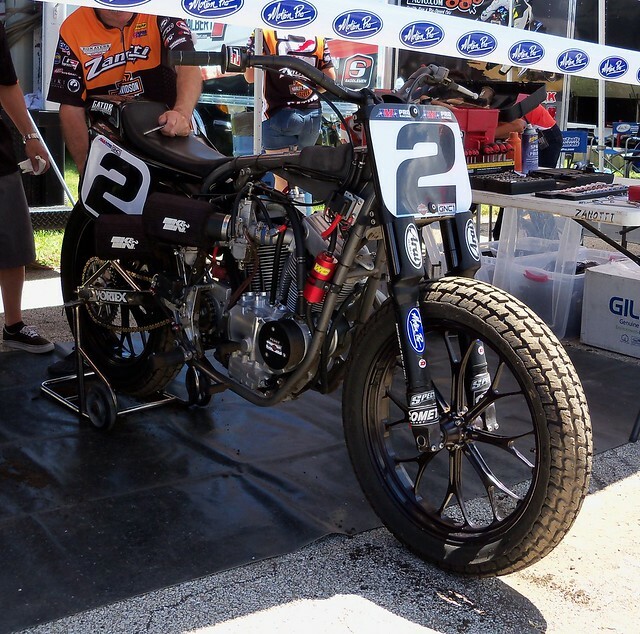 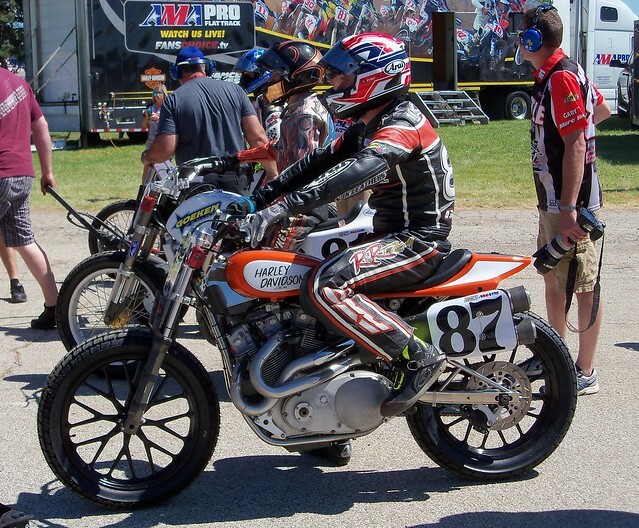 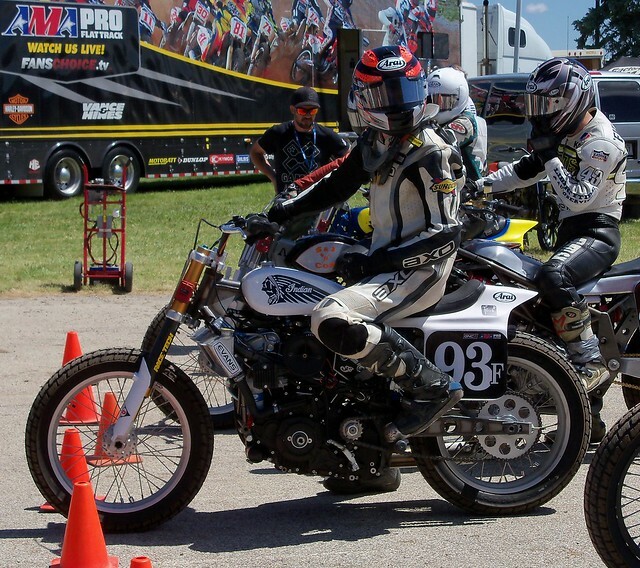 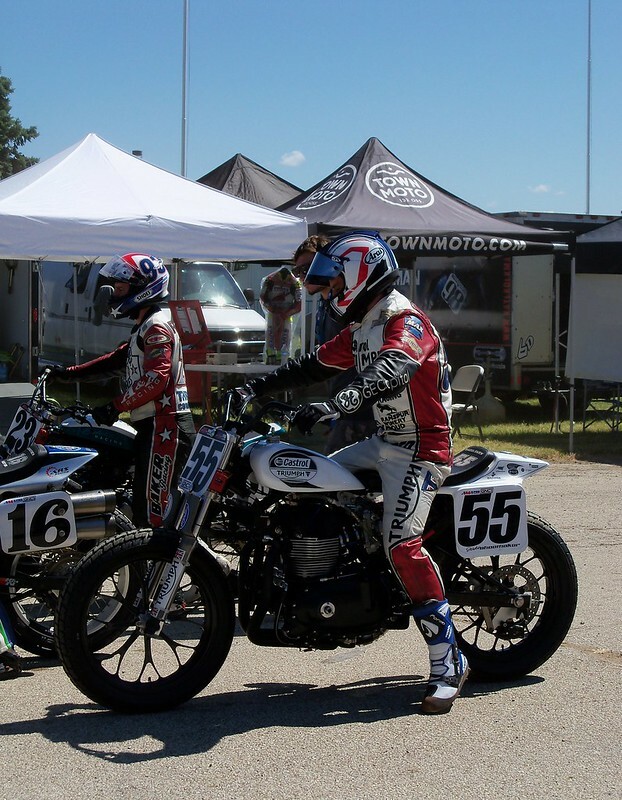 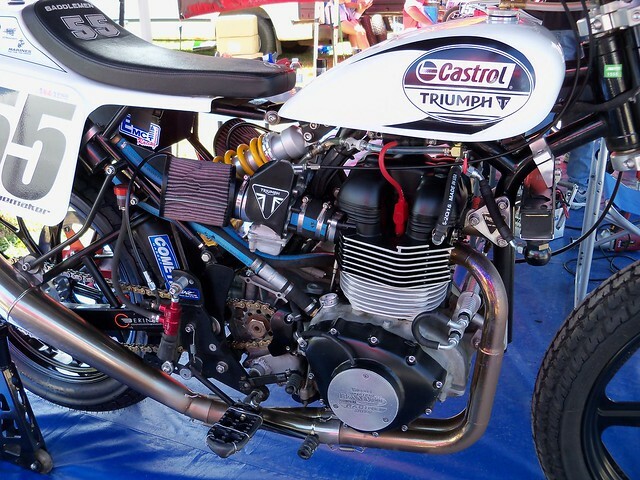 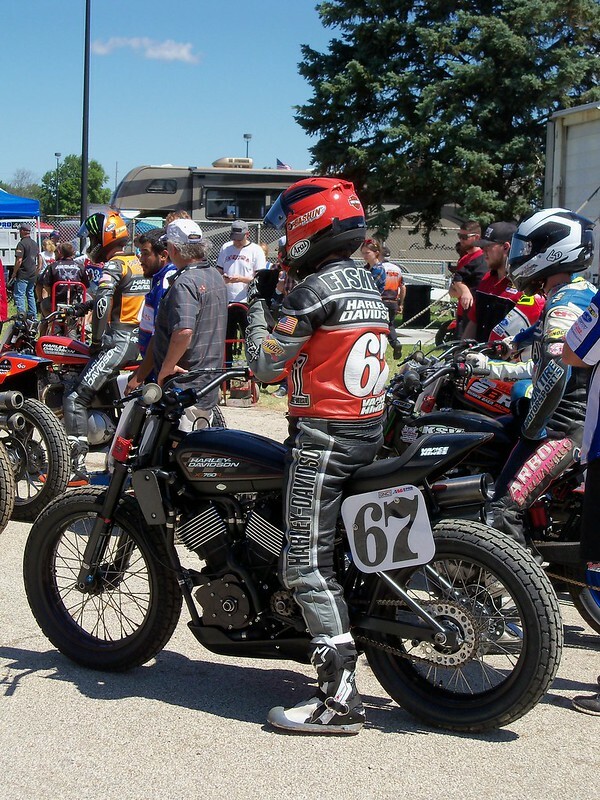 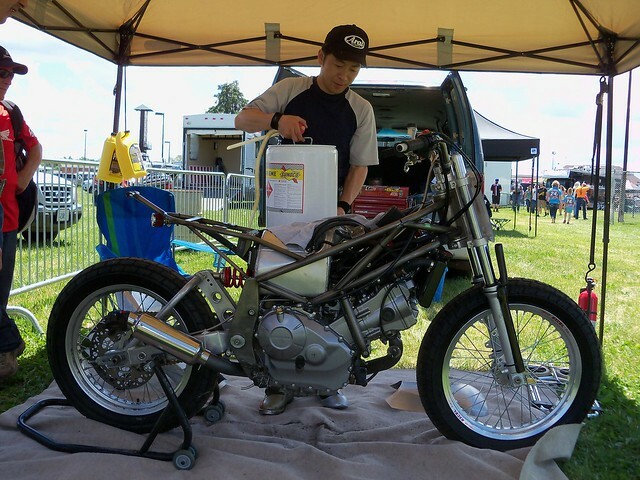 The weather was great at the Illinois State Fairgrounds for The Springfield Mile. 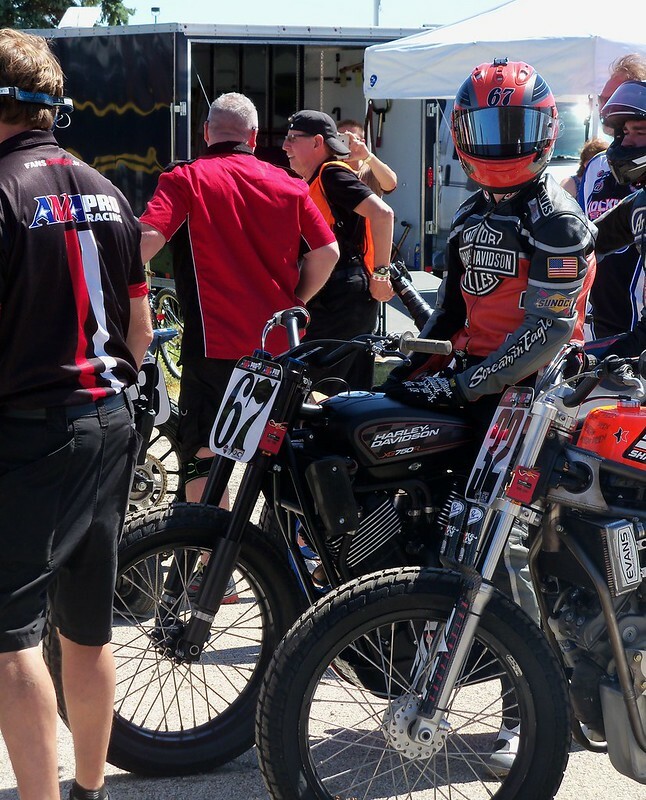 I'd never been to The Springfield Mile before, but with no Indy Mile this year I thought I'd make the trip, and will definitely be going back again. 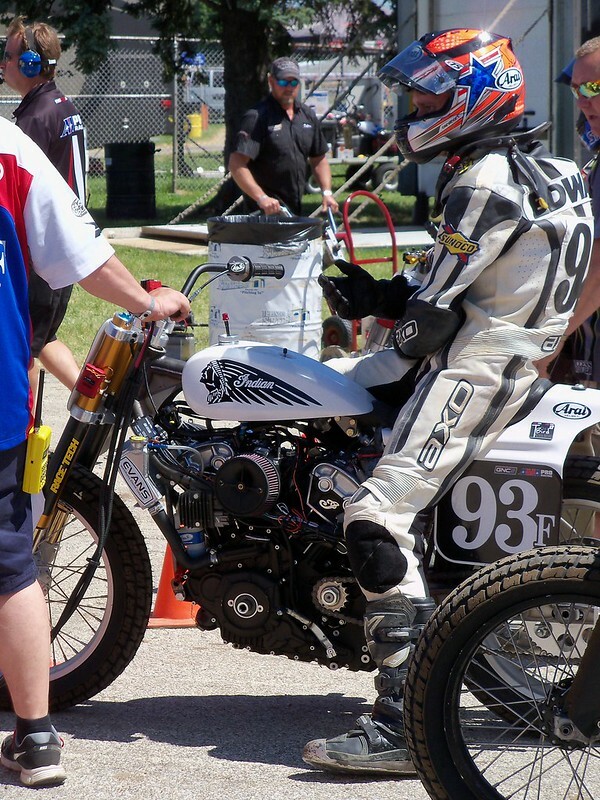 This was The Springfield Mile I, and they have another national in September, The Springfield Mile II. 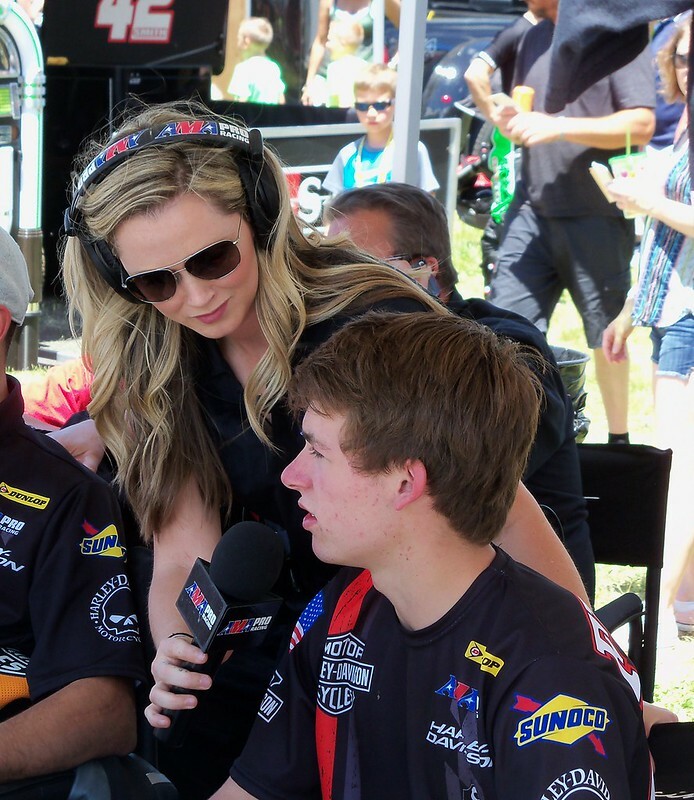 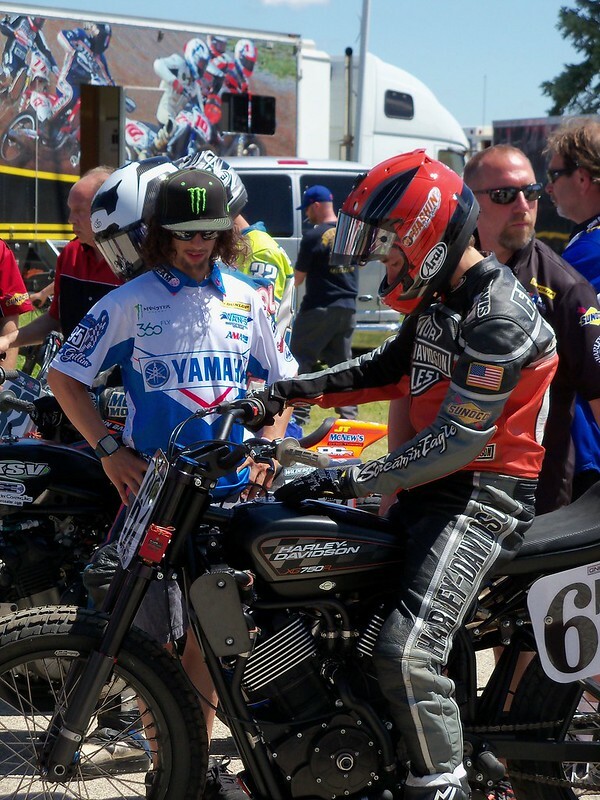 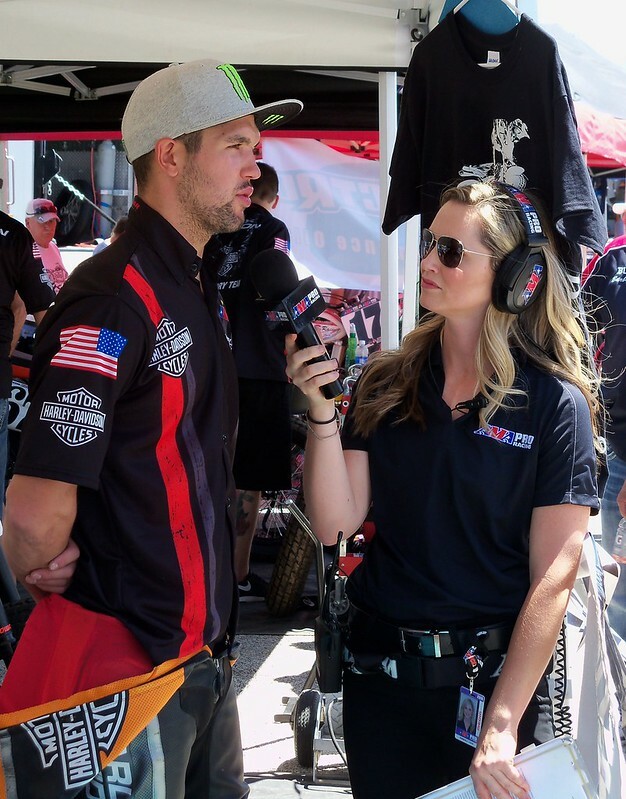 Going into the race the talk was about if Bryan Smith could make it three consecutive mile wins in a row, and also it was the official debut of the new factory Harley-Davidson XG750R with rider Davis Fisher. 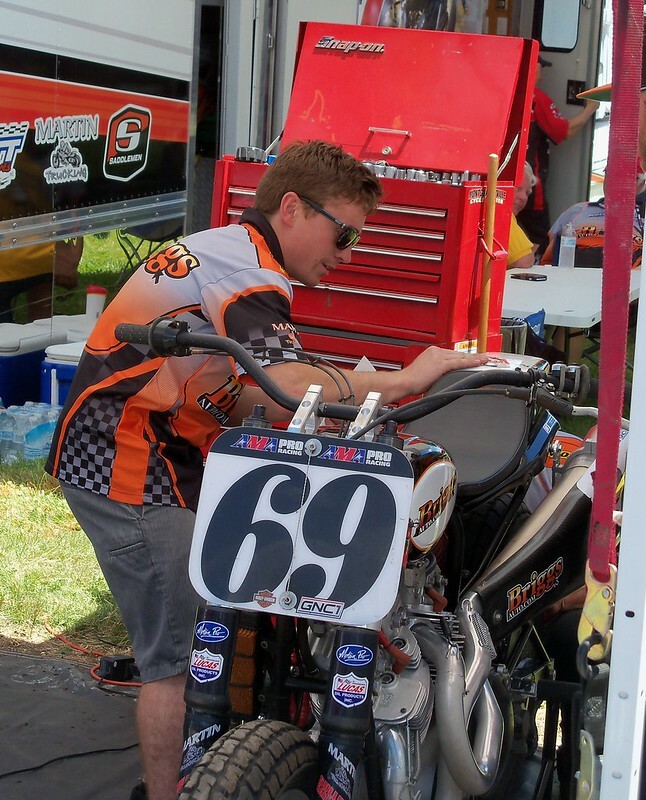 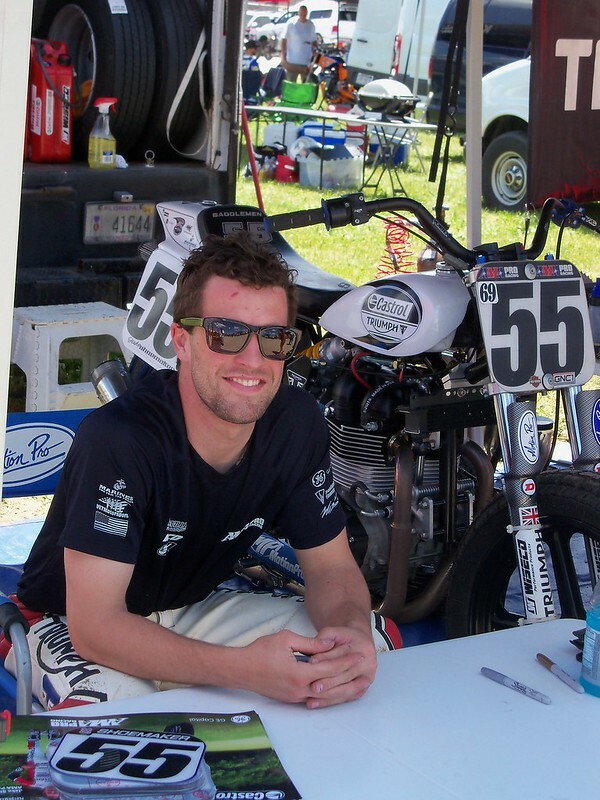 Fisher and the new bike managed a very impressive eighth place in the main. 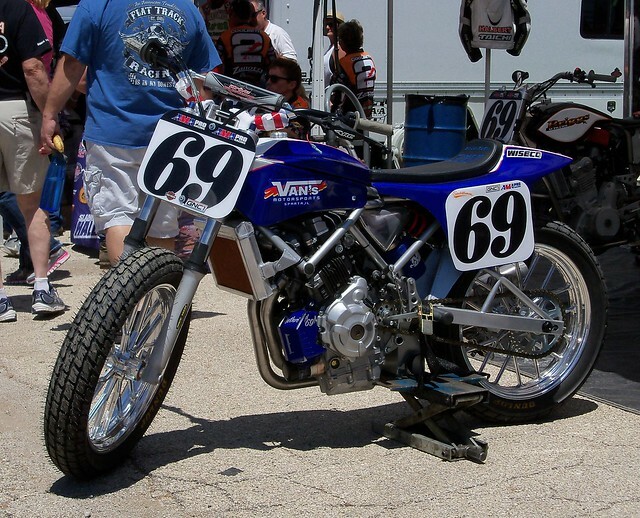 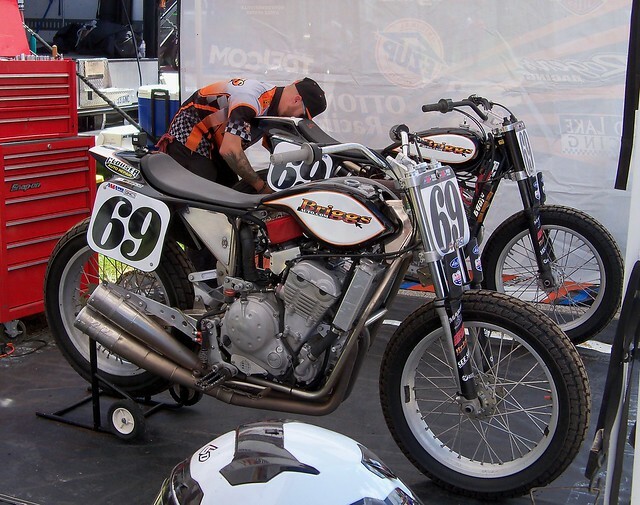 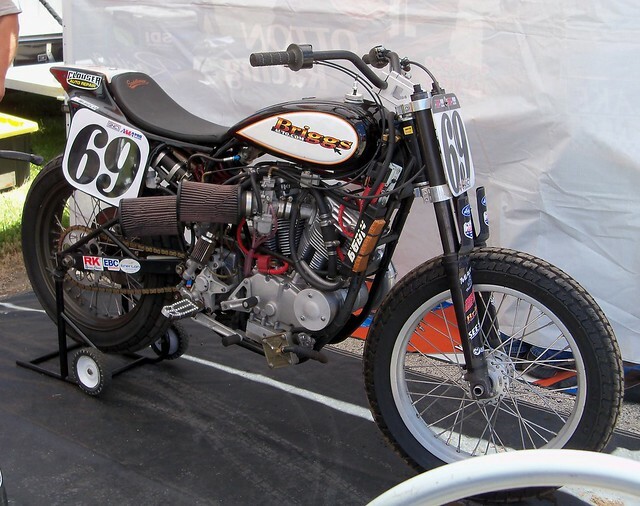 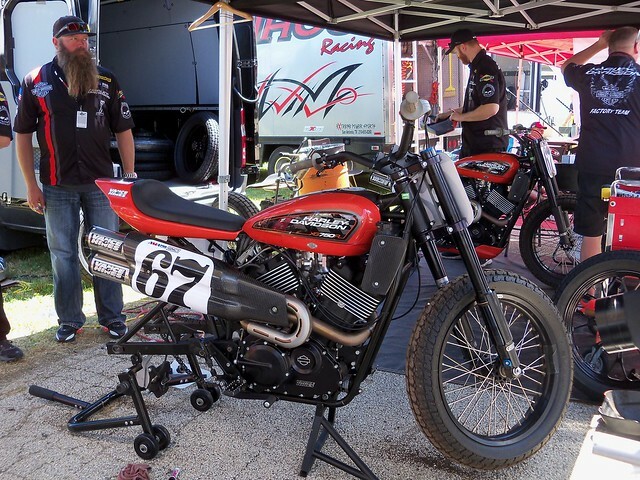 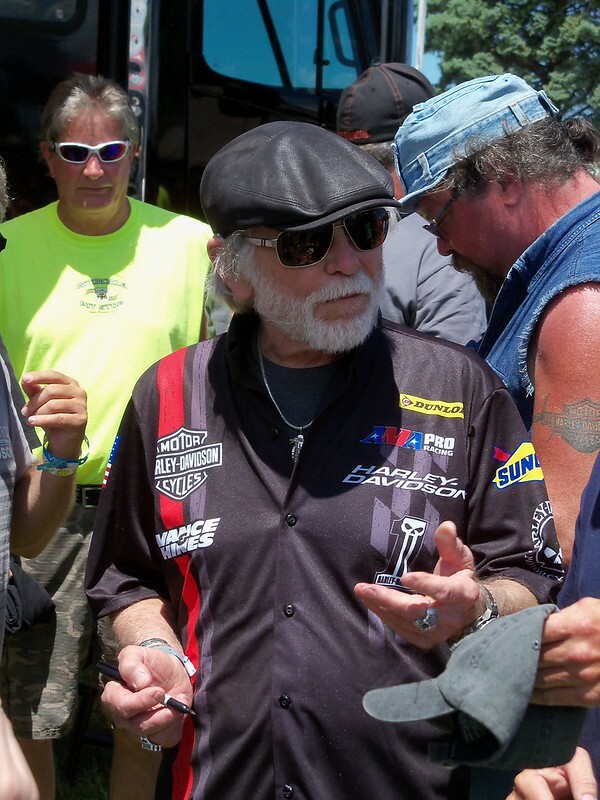 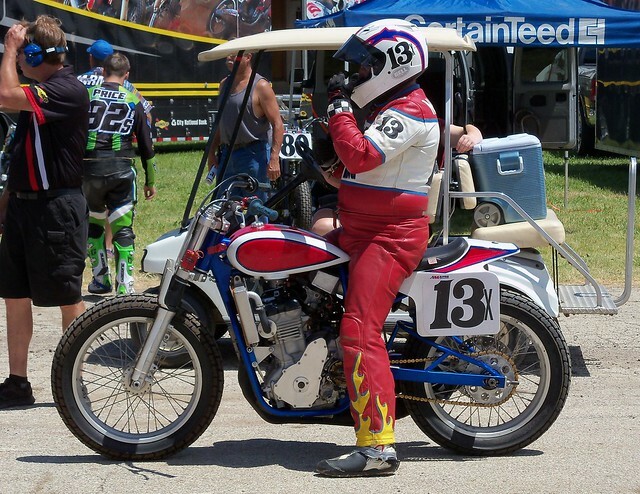 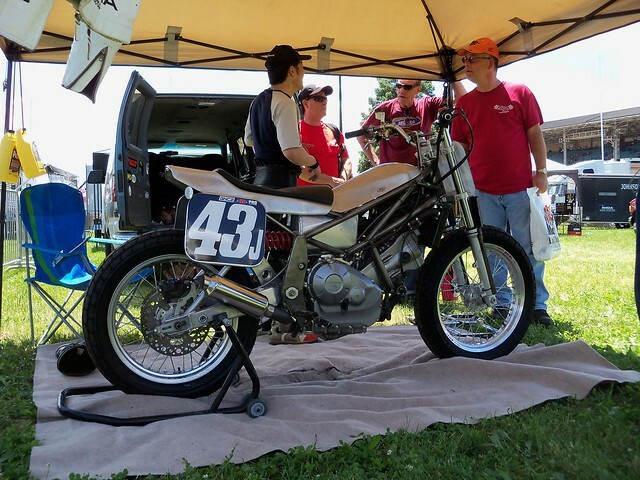 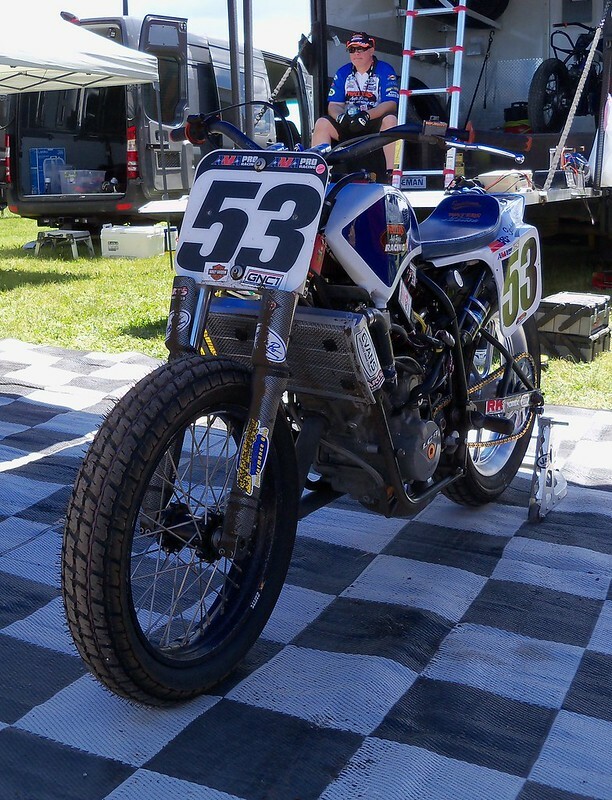 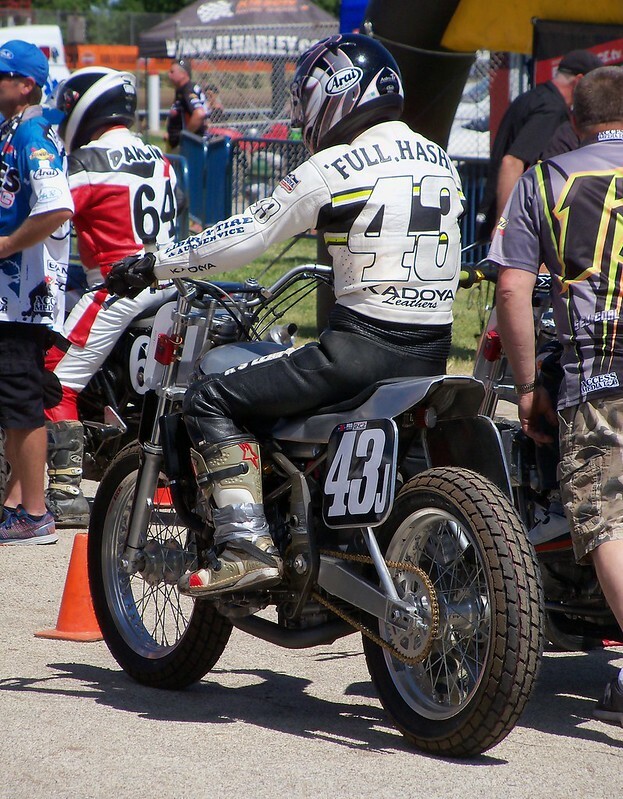 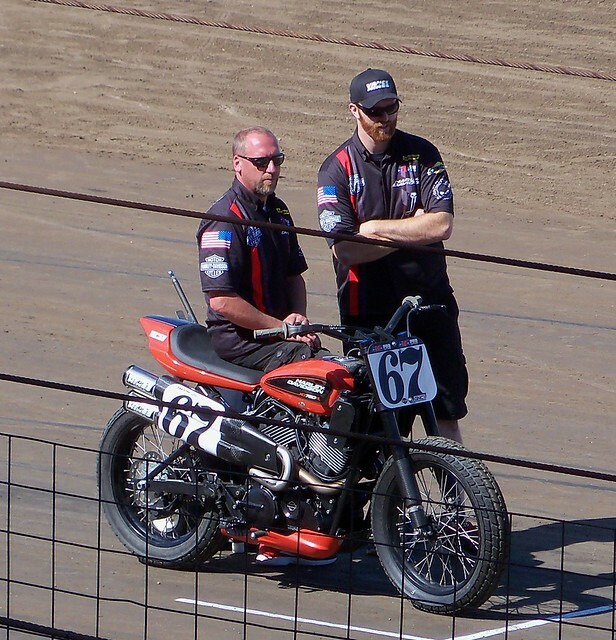 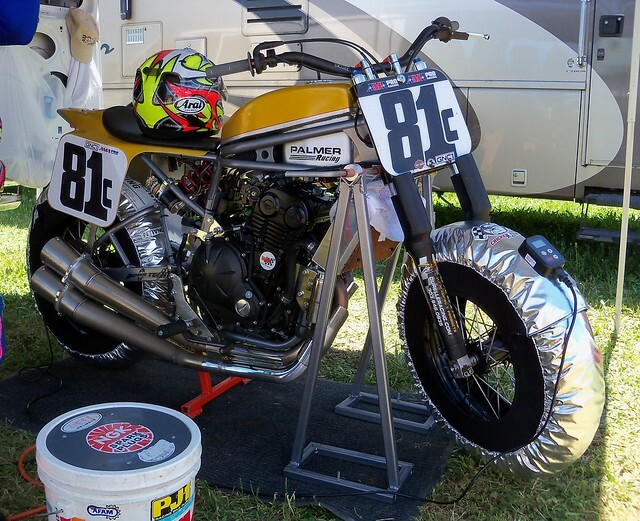 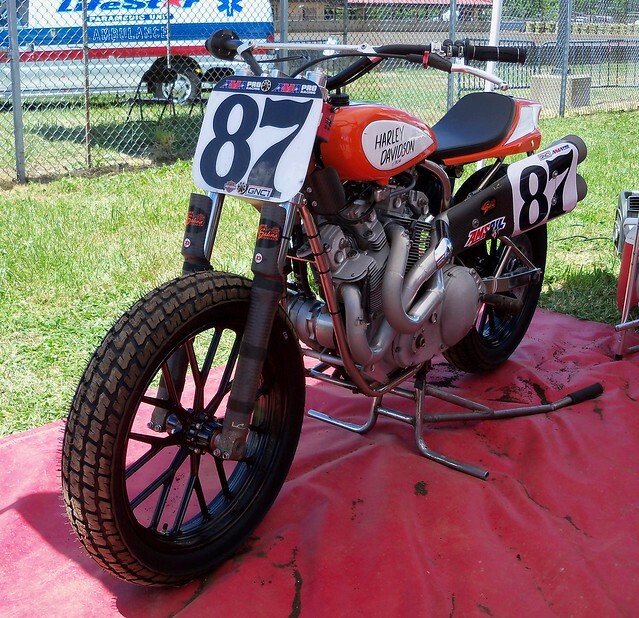 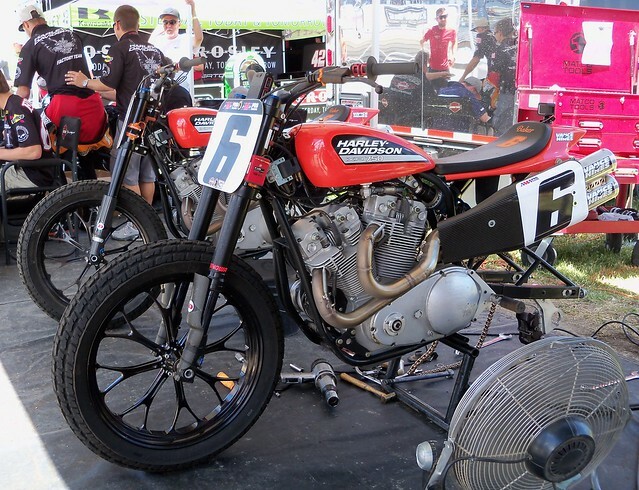 Willie G. Davidson was there to enjoy some flat track racing and support the factory H-D riders. 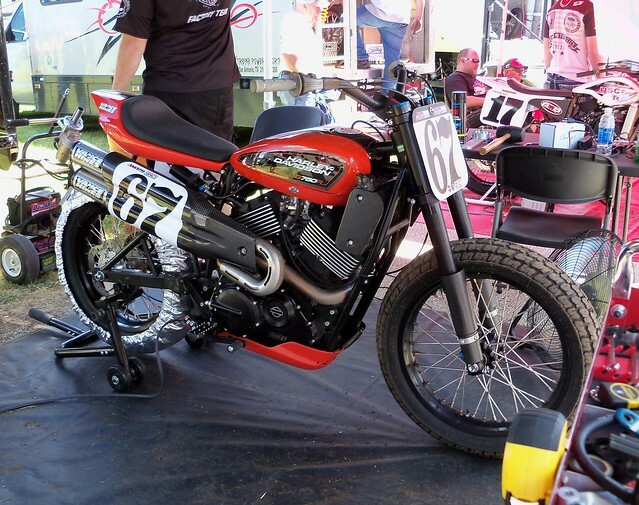 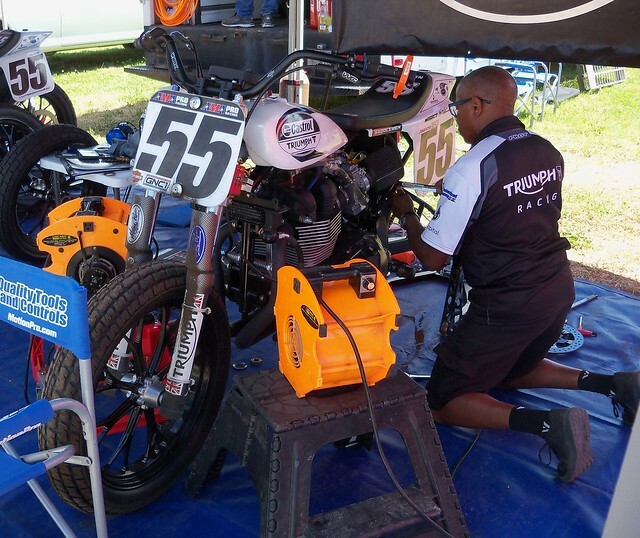 Fisher's factory H-D teammate Brad Baker is waiting until the XG is further developed until switching over from the XR750. 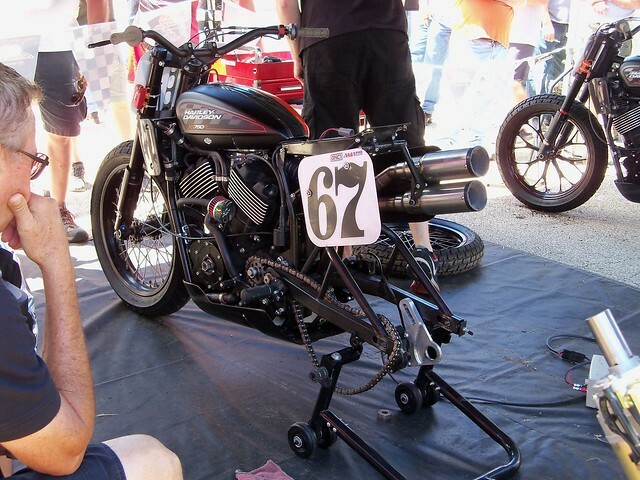 With Vance & Hines doing the work I doubt it'll take long. 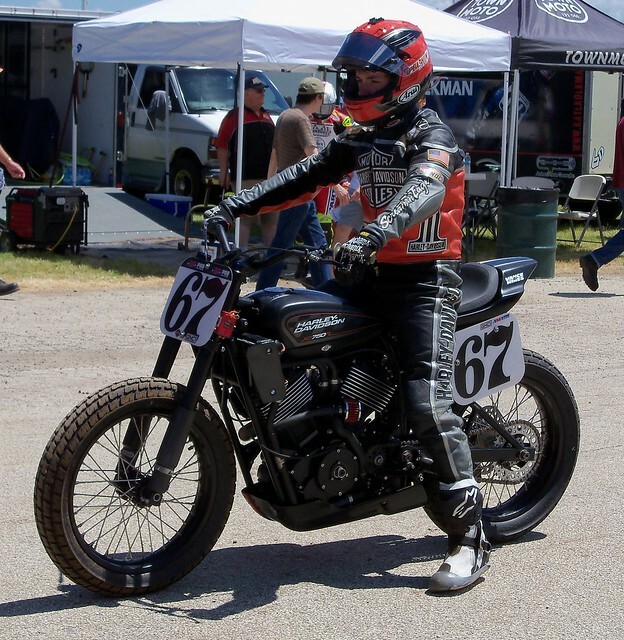 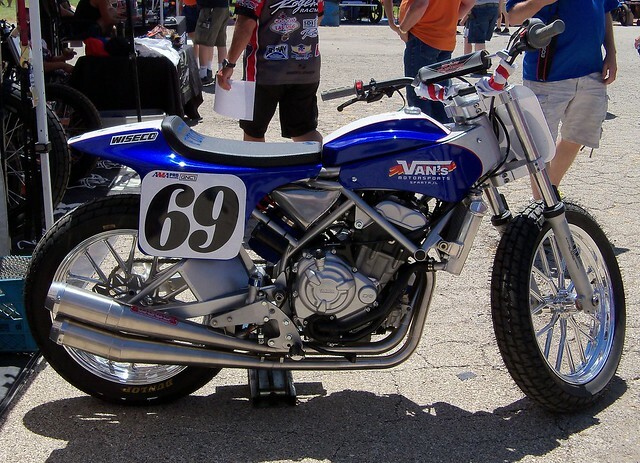 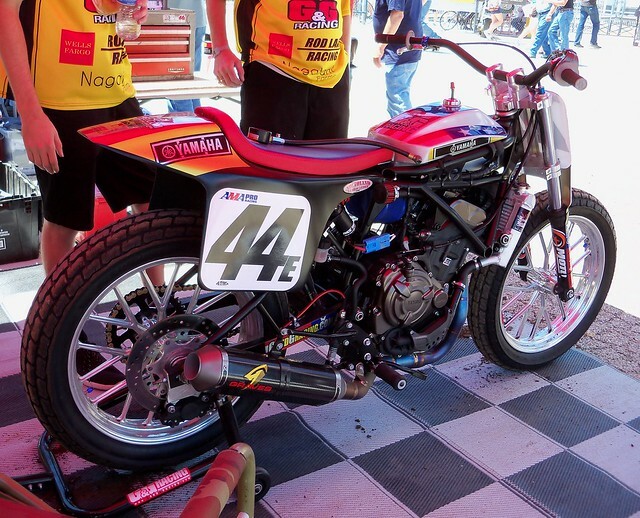 Nick Armstrong 44E Yamaha FZ07.